The National Oceanic and Atmospheric Administration announced that $250,000 in grants has been made available through its marine debris program to five states impacted by debris from the March 2011 Japanese tsunami. Alaska, Washington, Oregon, California, and Hawaii will receive up to $50,000 each to use toward marine debris removal efforts, according to an NOAA release. The funds could be released as soon as the end of July. "We are pleased to be able to contribute funds to support states&apos; efforts to respond to and remove marine debris, including disposal fees, cleanup supplies, and dumpster rentals’” Nancy Wallace, director of NOAA&apos;s marine debris program, said in the release. The Government of Japan estimated that the tsunami swept about 5 million tons of debris into the Pacific Ocean and that about 70 percent sank shortly after. The remaining 1.5 million tons dispersed far across the North Pacific Ocean in an area of the North Pacific Ocean roughly three times the size of the lower 48 states. Modeling indicates that the bulk of the debris is scattered and may continue to disperse north of the Main Hawaiian Islands and east of Midway Atoll. A portion of the debris has already begun to reach U.S. and Canadian shores, and more is expected to continue through the next several years. In addition to supporting state planning, NOAA has established a public email reporting system for suspected pieces of tsunami debris. Click here for the full NOAA announcement. 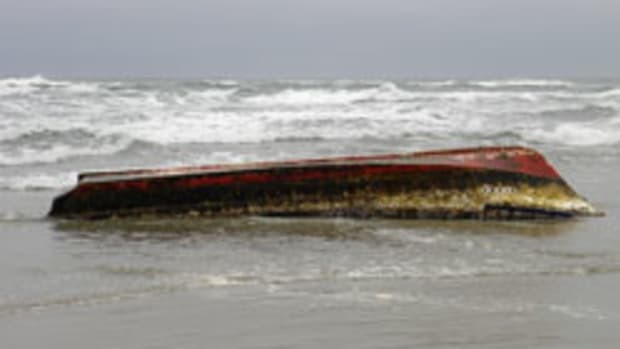 Is wrecked boat washed ashore more tsunami debris?